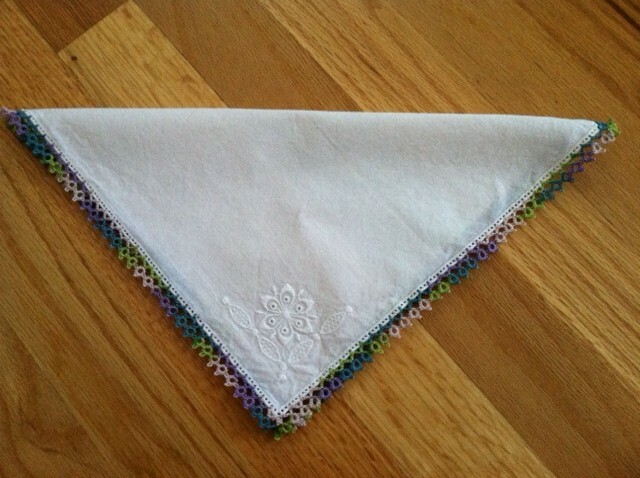 Pattern: Hankie Edge from Learn to Tat by Janette Baker. 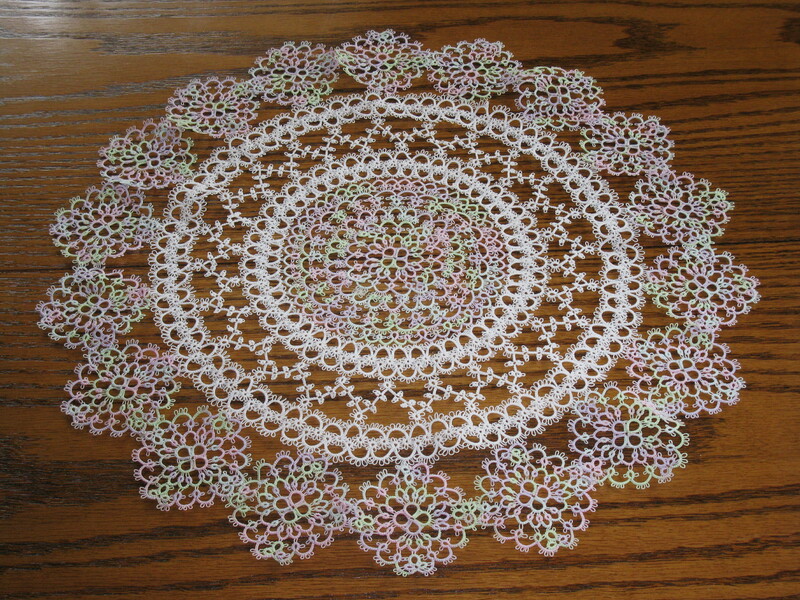 Michele used the pattern Hankie Edge from Learn to Tat by Janette Baker. She improvised and tatted directly onto the hankie instead of sewing it on as directed. She used Lizabeth Springtime in size 20. 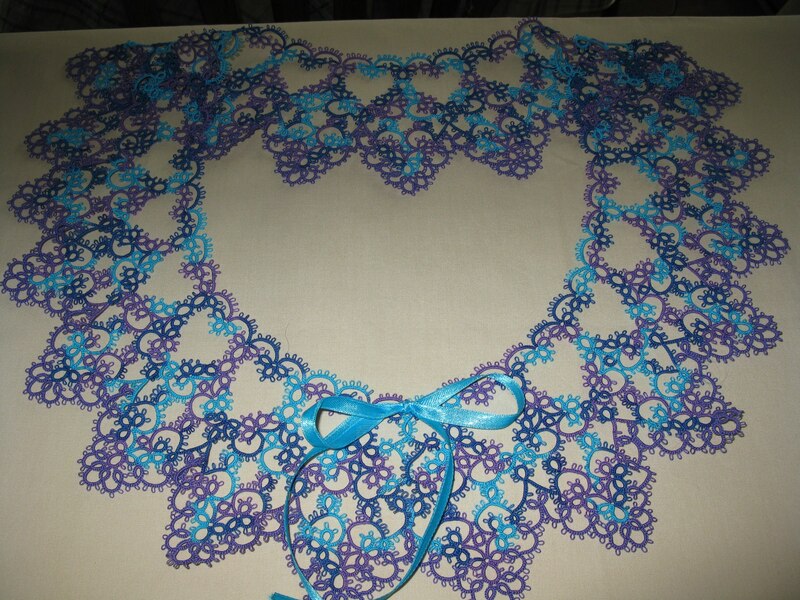 This was her first handkerchief project. Her finished piece came out lovely! This is the first post in what I hope will become a regular feature highlighting the tatted works of various Shuttlebirds Tatting Guild members.